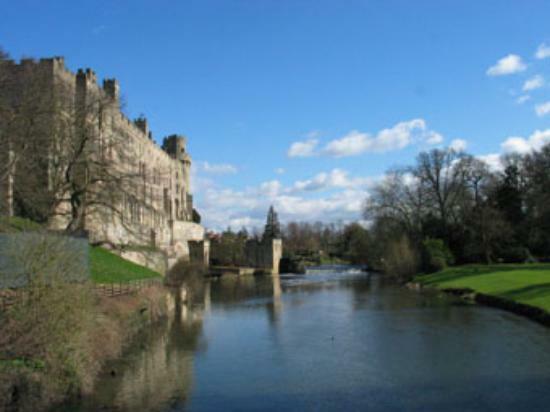 Situated in historic Warwick, in the heart of England, there are many buildings of historic interest, the most famous being Warwick Castle. This is the finest medieval castle in England. Inhabited continuously since the middle ages, and was the home of the Earls of Warwick until recently. The castle is one of the most visited tourist attractions in the country. Within the grounds there are well tended gardens combined with spectacular views of the surrounding countryside. Other features include the armory, dungeons, towers and souvenir shops.